Spectra Group (UK) Ltd. has announced the receipt of a series of significant North American orders for SlingShot, Spectra’s BLOS COTM (Beyond Line Of Sight Communications On The Move) system for tactical radios. Already popular with specialist users in the U.S., in the run up to Satellite 2018 Spectra Group has received a total of 12 separate orders with a combined value of over GBP £2 million. The SlingShot orders have been placed by undisclosed U.S. partners and are for use by a variety of end-users. SlingShot is a unique low SWaP system that enables in-service U/VHF tactical radios to use Inmarsat’s commercial satellite network. 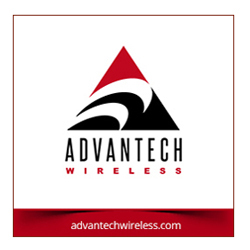 Including omnidirectional antenna for the man, vehicle, maritime and aviation platforms, the tactical net can broadcast over 1000 kms between forward units and a rear HQ, no matter how or where the deployment. 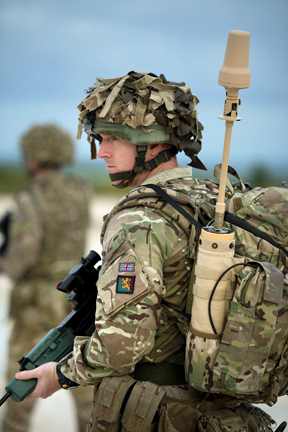 In addition to C2 voice, the system enables data capability supporting mission critical applications such as; artillery fire missions, GPS tracking and biometric analysis. With reduced cost compared to traditional TACSAT, increased channel availability and almost no increase in the training burden, SlingShot is redefining tactical communications. Spectra has strategic relationships with both Inmarsat, whose L-TAC™ service uses SlingShot and Airbus which brands SlingShot as TREx services. These order announcements coincide with the Satellite 2018 exhibition taking place in Washington D.C. 12-15 March. At the show, one of Spectra Group’s U.S. partners, ComSat Inc., will be showcasing SlingShot on their stand (No. 234/236). Spectra Group representatives will also be on hand to provide further information. Simon Davies, CEO at Spectra Group (UK) Ltd said that these recent orders further consolidate the company's position in the U.S. market and prove, again, that SlingShot is fast becoming the system of choice for tactical radio users needing to increase range, flexibility and interoperability. Users are really beginning to understand the benefits that SlingShot brings with its excellent utility for coalition interoperability, customs and border patrol, anti-narcotics, maritime patrol, homeland security, National Guard, intelligence communities, police, and emergency responders. Significant amounts of interest regarding Spectra Group products and services is being received from around the globe — the company's attendance at Satellite 2018 is another great opportunity to meet people and explain the advantages of our systems.